The first day of fall kicked off with perfectly crisp, fresh morning air and azure sky's with just the hint of a wispy white cloud. I had a full day planned with coaching my son's soccer team and hosting my daughter's 5th birthday party at our home. Despite the brisk pace of the day, I was bound and determined to make it to the first Fall Garden Palooza. I mean, what's the point of moving back in the Willamette Valley if I can't hit the plant sales? I arrived at 8am sharp for the opening. I caught sight of a hot air balloon floating in the distance. Ah, I love being back in the Willamette Valley! Fir Point Farms was up and running. The smell of donuts sizzling and apple cider brewing filled the air. The vendors were ready and it was time to start talking plants! 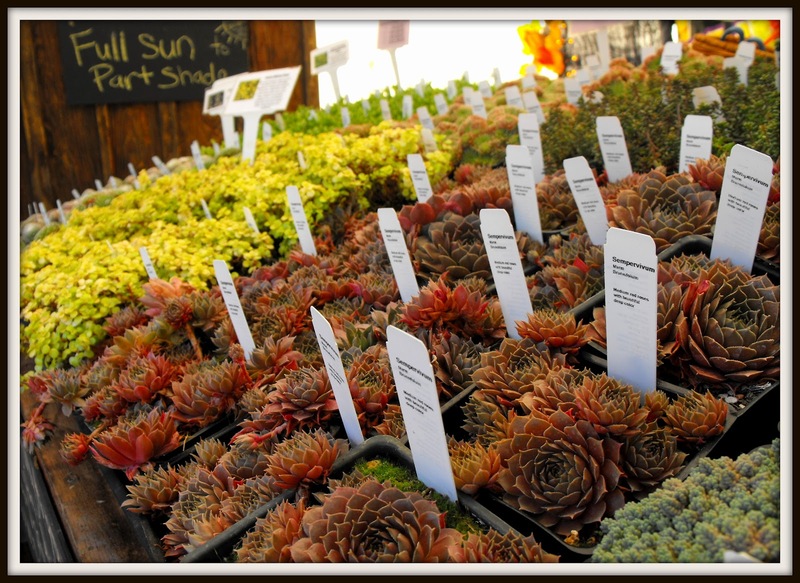 Sedum Chicks had a beautiful display and plenty of lovely sedum selections. With coupons in hand, I was ready to shop. So many new flower beds to fill up, so little time (tee hee). I've become addicted to adding colorful varieties of sedums to dangle and delight along my retaining walls and borders. Creating a sedum wreath just may be in my future. 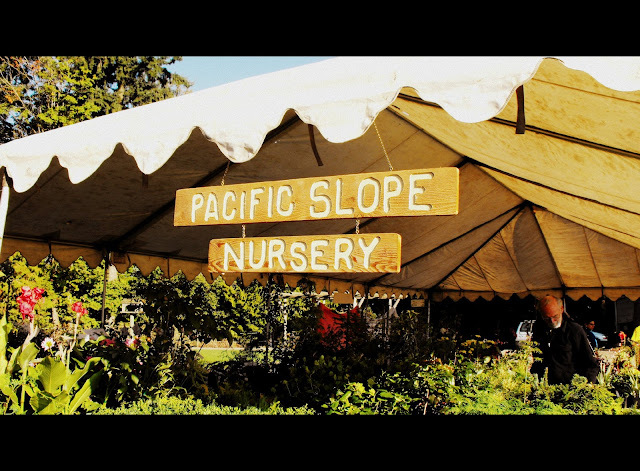 Pacific Slope Nursery, from Estacada, Oregon, had wonderful deals on evergreen shrubs and trees. A Weeping Hemlock might have made it's way home with me. Three Brothers Nursery, a favorite from the Milwaukie and Oregon City, weekend farmer's market, had a great sale on hostas and so many pretty toad lily's, gracing their booth. Owner, Terry Pearson was a riot to chat up! I fed my addiction to rudbeckias with a stop at Egan Gardens. They also had fabulous orange and purple winter pansies and lot's of mum's for adding fall annual color. Frey's Dahlias booth was bursting with color. So many choices! I had to use my coupon and get a few for my new gardens. While it didn't make it home with me, I'm still thinking about that deep, magenta colored dahlia. So striking! I may need to visit Frey's Dahlia's next year and get one! I spent some time speaking with Out in the Garden Nursery, who will be hosting another plant sale next weekend on September 29th, out in Molalla, Oregon. 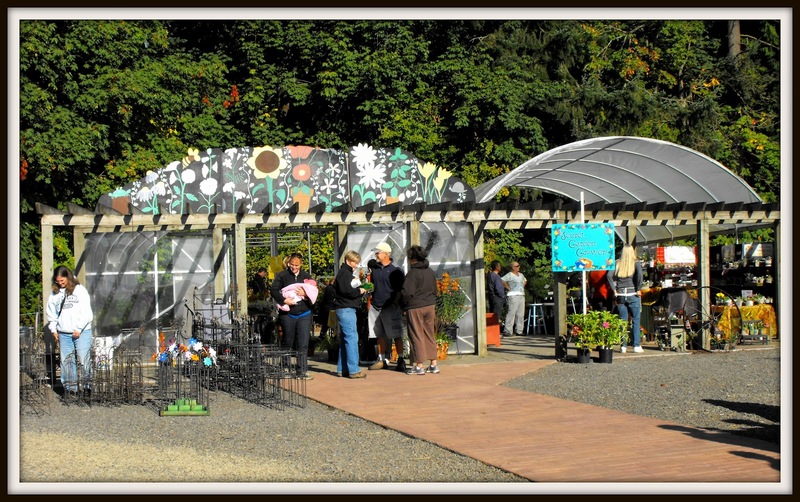 They plan to have classes throughout the day in addition to the sale which will feature nurseries from the Cascade Nursery Trail alliance. 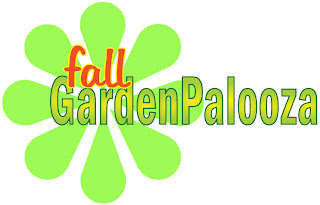 I'm sure I'll be back next spring to visit Garden Palooza again! 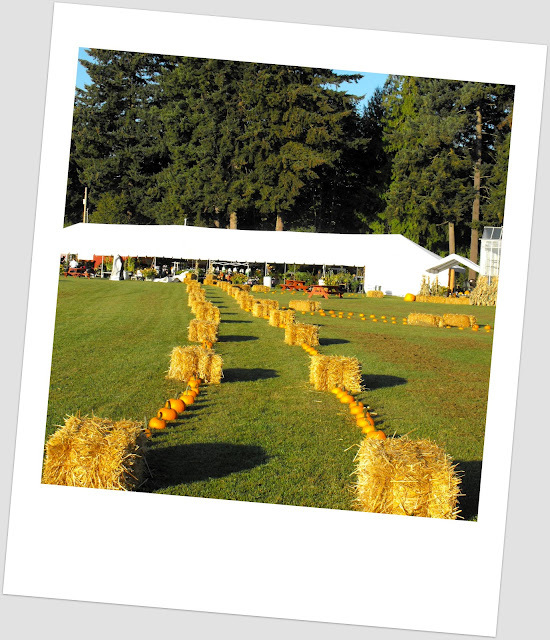 It was an enjoyable event on an exquisite fall day with a wonderful variety of vendors. There was a happy buzz of chatter as folks milled about the booths and enjoyed tasty treats while carting their purchases to the holding area. Parking was easy and plentiful. I can't think of a better way to spend a fall morning. You were there so early! We didn't make it until after noon or so...but it was a GORGEOUS day, wasn't it! Sunny but cool...such a perfect fall day! I got a few Sedums too...you can never have too many, right? I've been buying a few sedums and sempervivums recently which I will post about soon. This looks like a great sale! 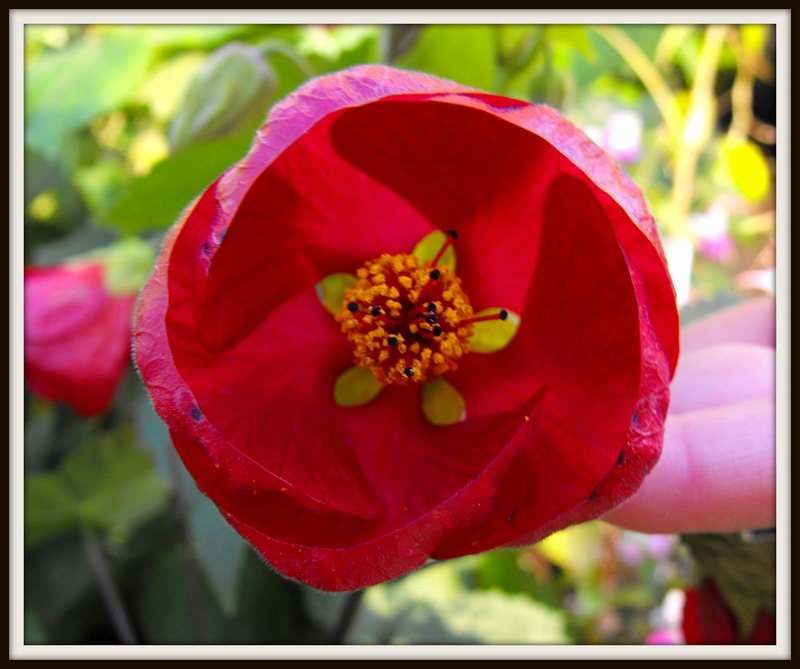 Thanks for posting your pictures! I love plant sales. I would go to every single one, but I would need more than one of me to do that. 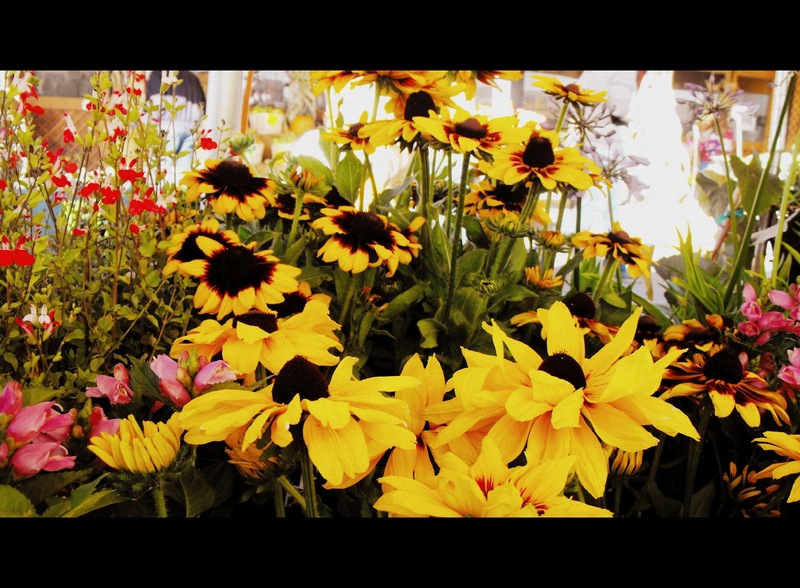 Those Rudbeckias with the darker ring inside are gorgeous! Alison, those are the exact Rudbeckias I got! Sounds like a painless way to spend some money! Wish I had been there. What plans do you have for the new garden? Hopefully lots of space devoted to veg...? Oh that looks like so much fun! I really need to go shopping! I've been holding back since it has been so hot and dry, but the weather has cooled. I can't wait to see how your beds progress. I spent all day separating my black eyed susan seeds. I have half a coffee can full. That sounds like fun, great selection, great plants, and coupons? Why can't we have something like that here in Canada. PS, thanks for the words of support on letting it all go brown, I really needed to hear them.